Hi everyone! 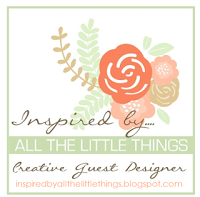 I'm very excited to say that I've been invited to be a Creative Guest Designer at Inspired By All The Little Things today! I'm so honored. It's an amazingly talented team. 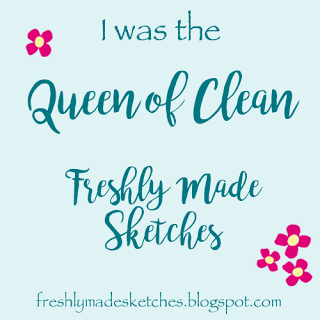 Please head over to their blog to check out their fabulous creations, plus there is a little 'interview' where you can learn a bit more about me! 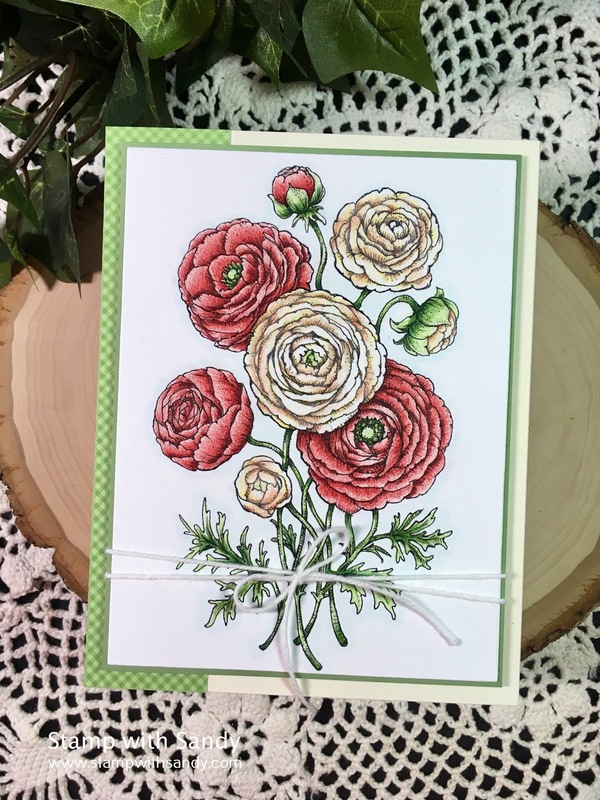 I absolutely love the inspiration photo for this week, and it's no surprise that I was inspired by the luscious floral bouquet. Though the flowers in the bouquet are roses, I thought that the layered petals in the blossom of a Ranunculus mimicked them nicely. This is a digi stamp from Power Poppy (my most recent obsession), and I colored them with colored pencils. Up until now I've found that coloring black images are the most difficult, such as a black cat, but coloring white images can be tricky too. I colored mine with a bit of a peachy hue, like the white roses in the inspiration photo. I didn't want to cover up any of this pretty image, so I'll save my sentiment for the inside. 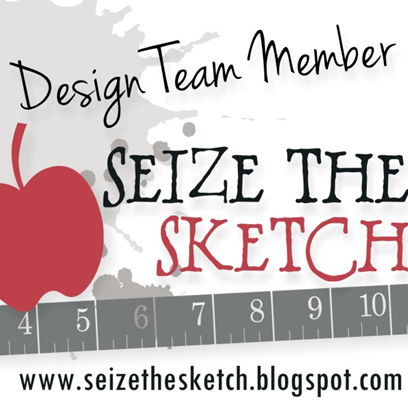 Please pay a visit to the wonderful Design Team at Inspired By All The Little Things, and we would be pleased if you played along with the challenge this week, too! Hi Sandy, another beauty. I finally got myself some (3) alcohol markers. I didn't try them yet. 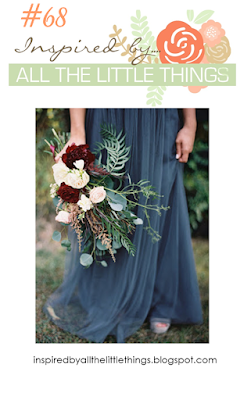 I love this card and your little interview over on Inspired by All The Little Things. You already know how much I love this card but it bears repeating here...beautifully colored and perfectly inspired. I am amazed at what you can achieve with colored pencils! So much shading and dimension. Just gorgeous, my friend. Thank you for being my guest this week on Inspired By! First of all, Congrats on your Guest spot! I know exactly why they asked you...you are incredibly talented!! Next, this card! My mouth was gapping open when your blog popped up! Truly, you are so talented and you amaze me every time I come by! WOW! Congratulations on being featured at Inspired By All the Little Things! Your card is very pretty! 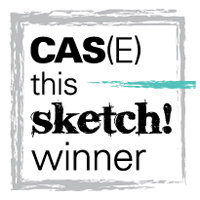 Congratulation on being our guest this week! Your card is simply beautiful! Thank you for joining us!!! So happy to have you guesting with us this week! I'm also a fan of florals (masculine cards are difficult for me - lol) and I'm really loving your beautiful take on this week's photo! 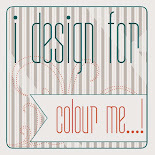 Great to have you guest designing with us! This card is so pretty and I like the halloween card above too!